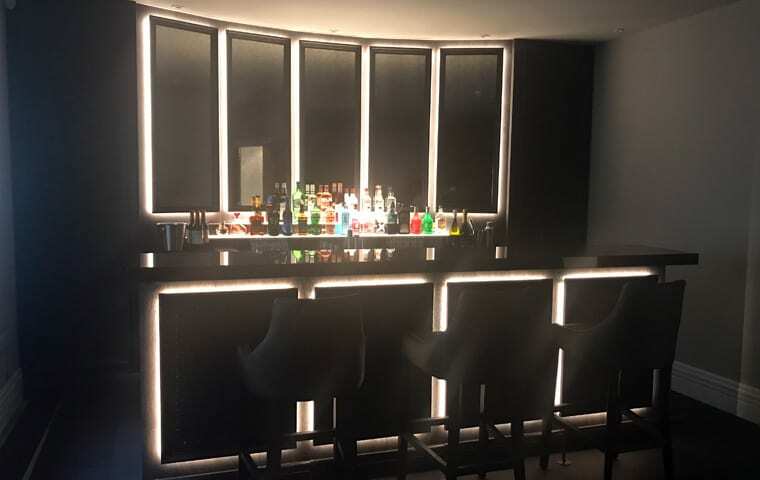 This beautiful bar has been designed using semi-precious onyx, backlit to provide consistent illumination to show off the true beauty of the delightful stone top. 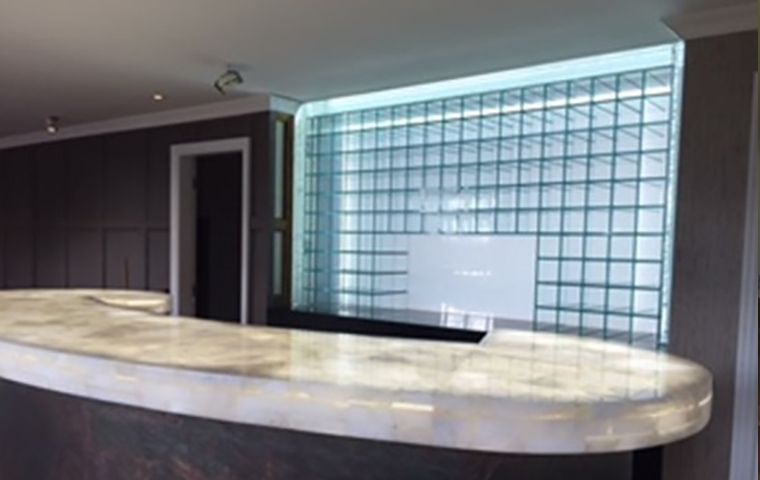 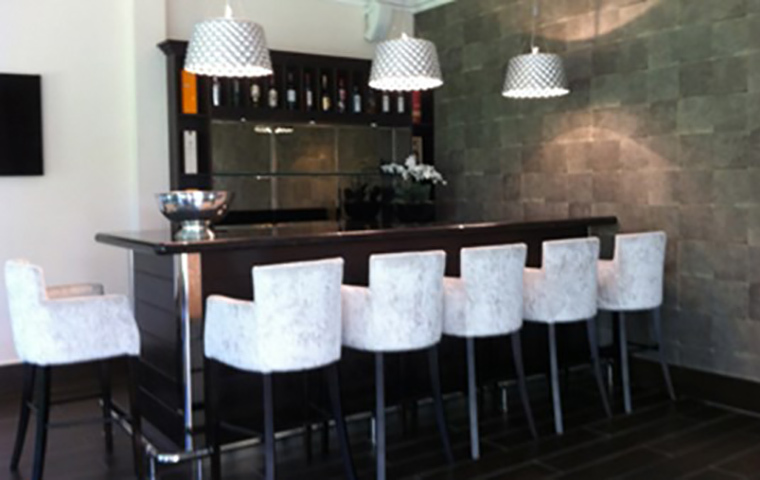 We married the onyx counter with a microstone bar frontage to complete the look. 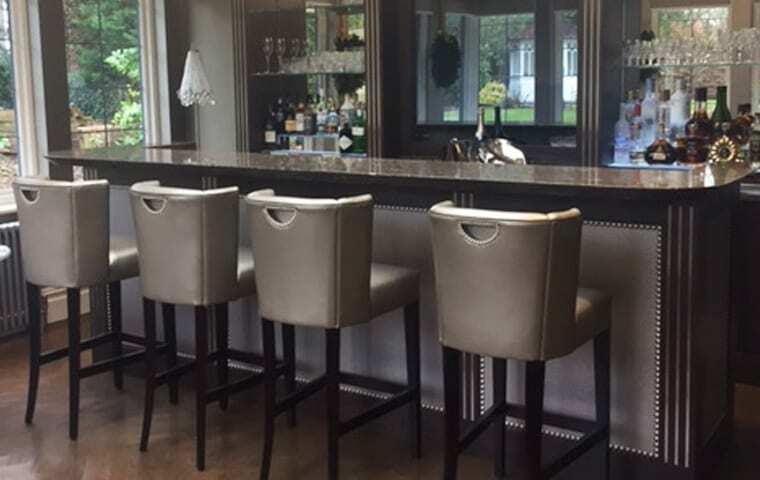 We also installed an inner bar consisting of cupboards, a sink and an insulated ice well, whilst underneath we fitted bottle coolers and a chilled drawer. 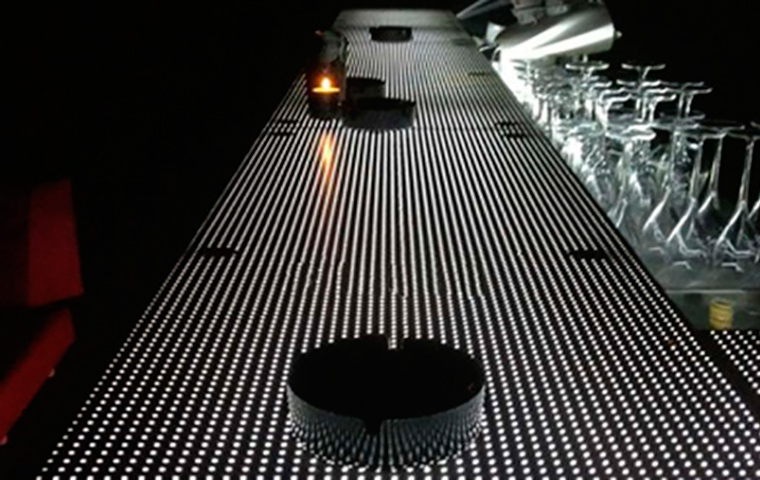 The backlit upper back bar display was created using an intricate method of layered glass, designed to give a floating effect to the stunning wine wall.